Here’s an interesting specific (and extreme) example of an administration body which becomes sociopathic by losing sight of its purpose. It is a institutional disorder which seems to be endemic across corporate entities. It’s most serious in state bodies, because of they’re gifted with state coercion powers. So, let’s take the Sheriff’s office as an example. Usually, they spend their time enforcing warrants. All very good (provided the warrants system hasn’t been debased or corrupted). That’s what they do, for most of the time (let’s say. Doubtless they do other things. Being a sheriff, posses, I presume, feature). And they forget that isn’t actually what they are *for*. Their purpose is to increase the security of the society they police. The warrant business is just part of that broader purpose. Now, suddenly, part of the context they exist in alters. 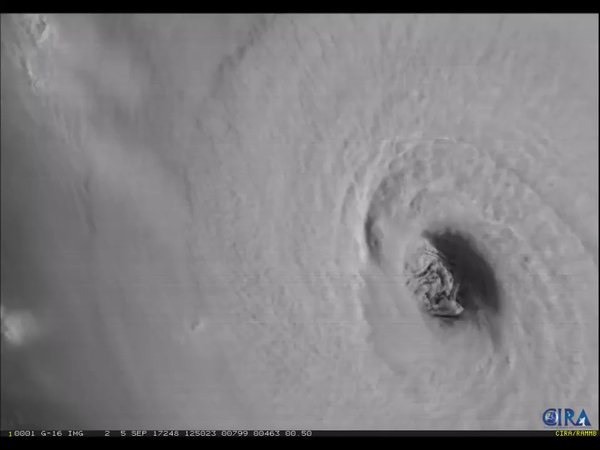 The entire nearby population is facing a simultaneous security threat (hurricane Irma). The purpose of the Sheriff’s office hasn’t changed- secure the security of all the nearby humans. 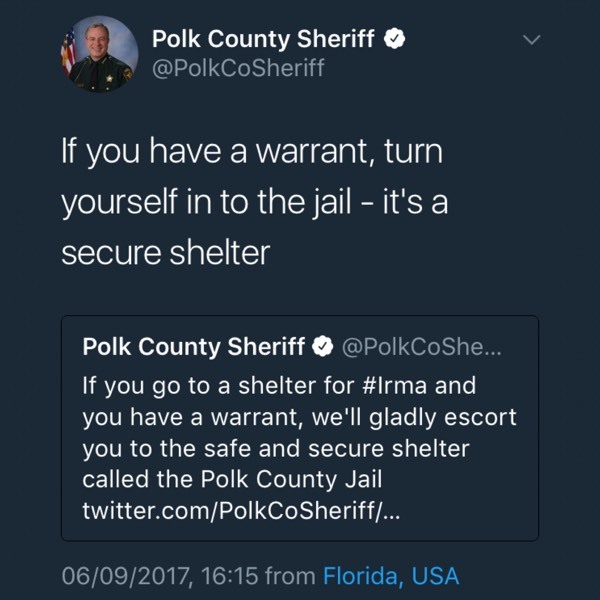 But they still think they are for warrants. The institution has mistaken what they do for what they are for. And we, as outsiders not conditioned by months and years of warrent enforcement, say, that’s mad and *evil* and the institution feels hurt and gets angry and defensive. This is same thing it has always done, after all. It can’t see that the shift in context (keeping humans alive now may need specific acts) has meant that continuing to do what it was doing before has become contrary to the purpose of the institution.